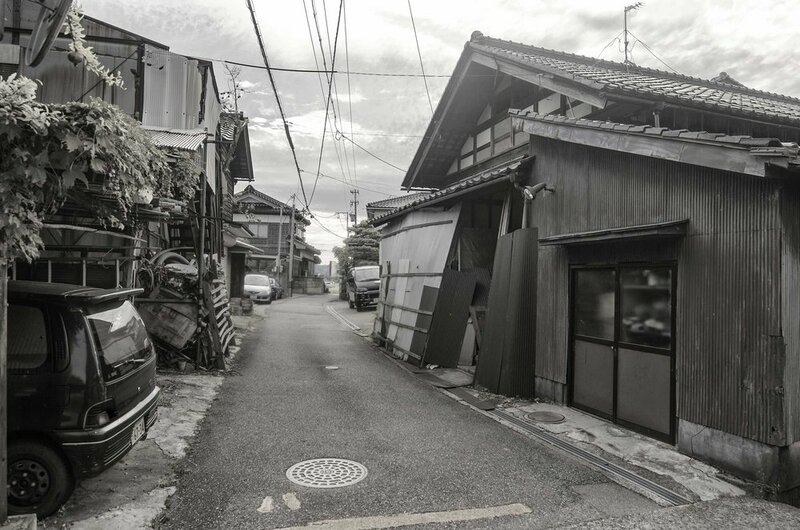 A typical Japanese residential street in the western town of Kanazawa. The foreboding and heavily restored castle of Kanazawa in Ishikawa prefecture was originally built in the 15th century. Beautiful calligraphy lies amongst the daily catch in a fish market in Kanazawa. A traditional lantern lies next to forest pond in Kanazawa. A false-bottomed swimming pool is a central installation at the Kanazawa Museum of Modern Art. The empty streets of Higashichaya old town in Kanazawa bring a sense of what the city was like in centuries past. The impressively large and ornate gate that greets travelers at the entrance to Kanazawa train station. 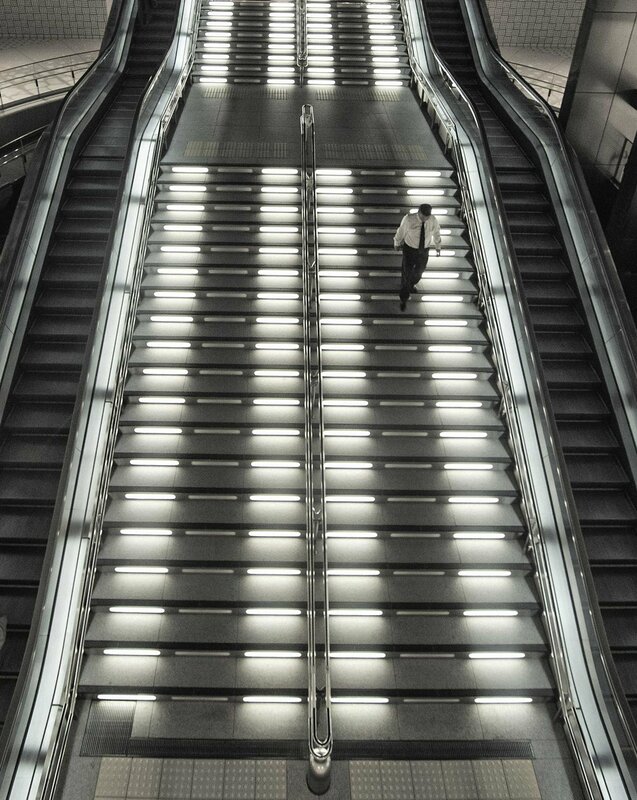 A lone businessman makes his way down the stairs and into the train station at Kanazawa. Bamboo and pine woods line an ancient path to the summit of Fushimi-Inari shrine in Kyoto. A guard buiding is illuminated near the gates at the base of Fushimi-Inari Shrine in Kyoto. Sanjusangen-do temple, or the temple of one thousand Buddhas lies in the hills of Kyoto. The temple holds 1,000 lifesize buddha staues and a large staue of Avalokiteshvara which is a national treasure of Japan. A large wooden Buddha image sits in the stunningly adorned halls of the National Museum of Tokyo. The narrow lanes of Shibuya district seem to have been lifted from a dystopian sci-fi novel. A meticulously organized storefront in Tokyo sells cheap everyday items.